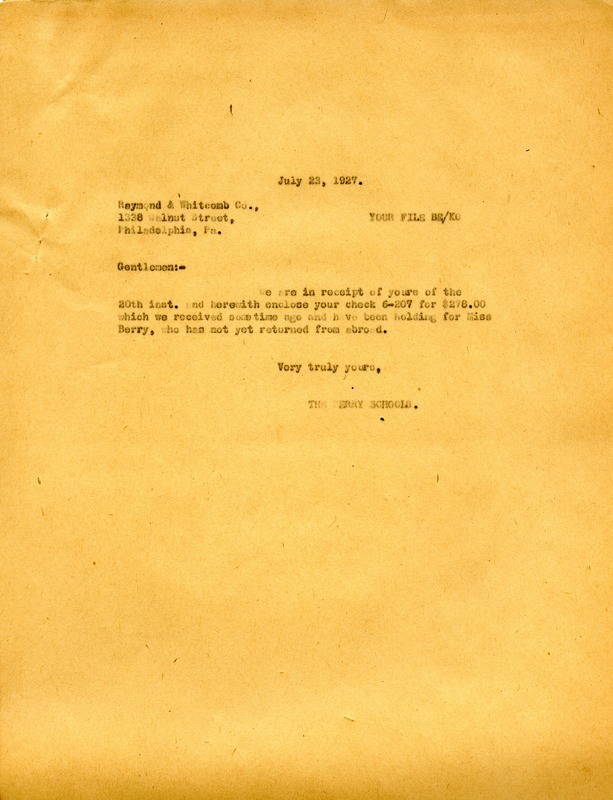 Martha Berry Digital Archive | A letter from the Berry Schools to Raymond and Whitcomb Co.
Berry Schools, “A letter from the Berry Schools to Raymond and Whitcomb Co..” Martha Berry Digital Archive. Eds. Schlitz, Stephanie A., Amanda Guidi, et al. Mount Berry: Berry College, 2012. accessed April 25, 2019, https://mbda.berry.edu/items/show/6104.